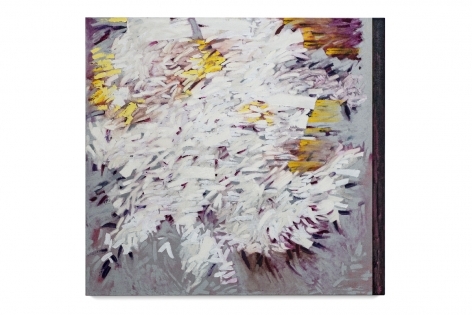 Sundaram Tagore Chelsea is pleased to present new, abstract oil paintings from American artist Judith Murray, best known for her lush, deeply expressive compositions. 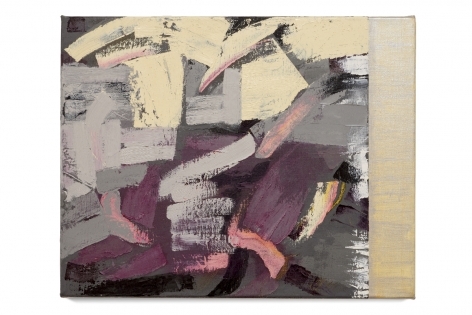 This is Murray’s ninth solo exhibition with the gallery and her first in New York since 2012. 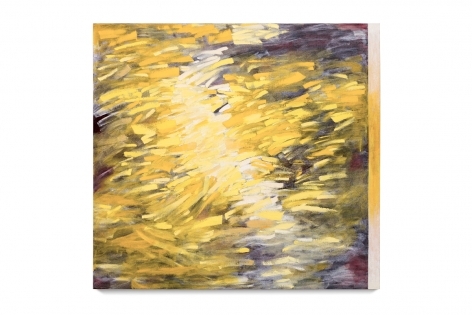 Murray, who lives and works in New York City and Sugarloaf Key, Florida, began her career with a groundbreaking solo show at the historic Betty Parsons Gallery in 1976. John Perreault of the former Soho News called Murray a true “non-conformist artist” in a full-page review of that show. Over her nearly five-decade–long career, Murray has produced a wide-ranging oeuvre, while strictly adhering to certain constants within her practice. Working primarily in oil on linen canvases, Murray has consistently demonstrated her abilities as a colorist, skillfully mixing her refined palette of red, yellow, black and white into an infinite range of rich hues. She has traveled extensively, from the jungles of South America to the temples of Asia, and believes her quartet of base colors represents a primary universal palette. 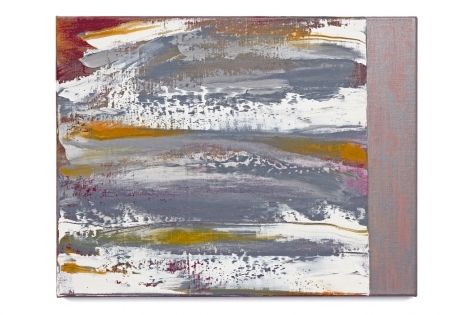 Another enduring characteristic of Murray’s work is a vertical bar that spans the right-hand edge of the canvas. 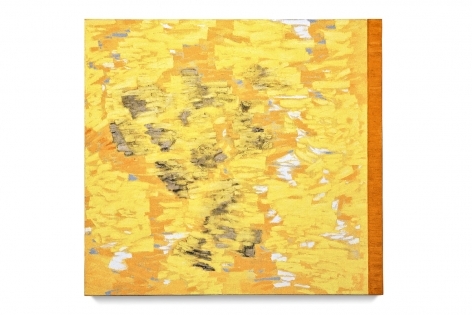 This bar first appeared in the 1970s and has since become a fixed visual element in all of her paintings. 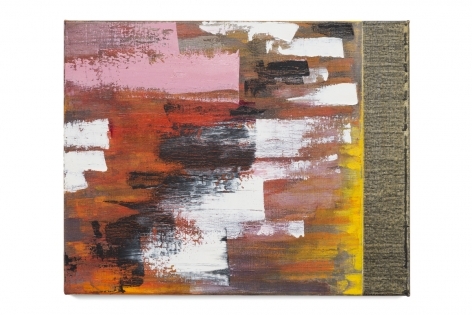 Varying in width and color, the bar functions as a visual foil or counterweight, adding tension and grounding the animated brushstrokes that inhabit the canvas, anchoring the composition to the picture frame. Additionally, it lends to another core operating principle of Murray’s practice: her preferred off-square format. The placement of the bar plays on the viewer’s natural inclination to compartmentalize the work, either into a square or more traditional landscape format. The resulting effect slows down the viewer’s gaze, compelling a few extra moments to process and linger over the painting. For the artist, the bar also serves as a jumping off point, a way to begin a conversation with a new piece. 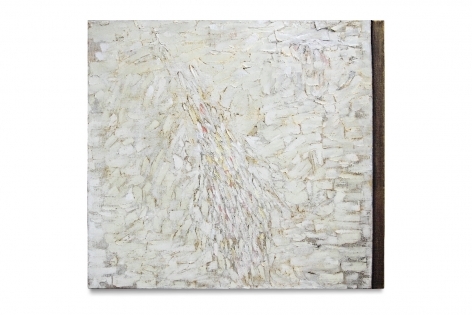 Murray doesn't create preliminary sketches; the placement of the vertical bar is what sets the course for the painting, though it is subject to modification as the work progresses. Once the bar is placed, Murray starts on the underpainting. Here, she uses acrylic paint, because it dries quickly, allowing her to make changes as necessary. 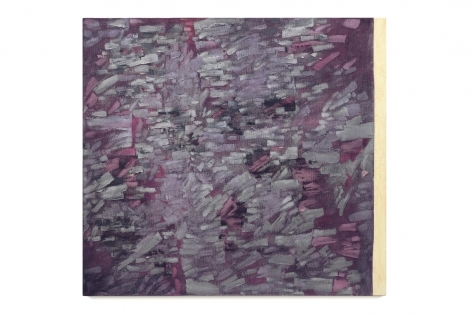 After she is completely satisfied with the underpainting, Murray moves to oil and begins building up layers of paint: thick, thin, translucent, opaque, reflective, matte. When the oil is dry, Murray starts the glazing process, which determines the painting’s final coloring and refines the finished work. For this exhibition, along with mid-size works ranging from 36 x 40 inches to 50 x 54 inches, Murray has produced a large-scale diptych (72 x 151 inches) as well as a series of exquisite paintings measuring 11 x 14 inches each. 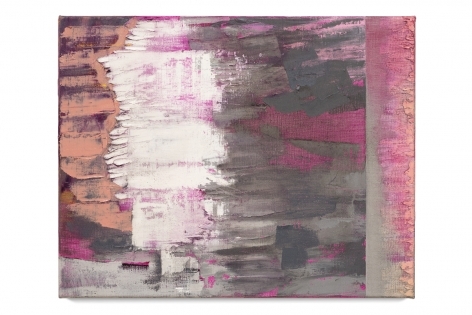 In a departure from Without Borders, her last solo show at Sundaram Tagore Chelsea in 2012, which comprised a series of predominantly black and gray “night paintings,” these new canvases are awash in jubilant pinks, purples, yellows and silvery-whites, imparting a timely measure of buoyancy and optimism. 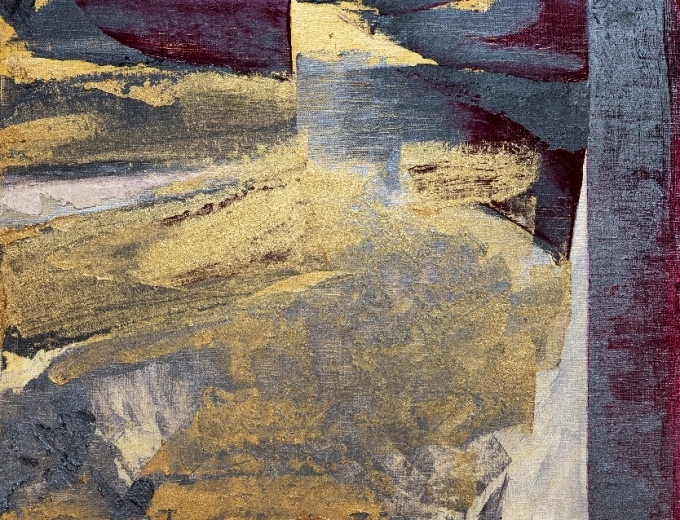 As Tempest, the title of the show implies, the paintings in this exhibition evoke the power and variability of the natural world—a recurring theme in Murray’s work. Emboldened brushstrokes, imbued with intention and confidence, coalesce across the canvas in a harmony of color and form, sometimes splintering apart unexpectedly, crashing into the edges with barely contained energy. With this body of work, Judith Murray continues her artistic trajectory, from the stark and incisive forms that defined her early career in the 1970s, to the intensely expressive impasto that has become a hallmark of her work today. This exhibition is accompanied by a catalogue with an essay by Lilly Wei, a New York-based art critic, independent curator and journalist whose interest is global contemporary art. 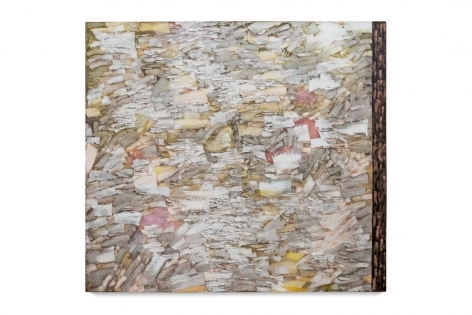 Judith Murray has exhibited extensively in the U.S. and abroad, including solo shows at the legendary Clocktower, New York; MoMA PS1, New York; and the Dallas Museum of Fine Arts. Her paintings have been included in more than thirty museum exhibitions worldwide, including at the Whitney Museum of American Art, New York; Museo di Palazzo Grimani, Venice; and the Museo de Art Moderno, Mexico City. In addition to a Guggenheim Fellowship, Judith Murray is the recipient of the American Academy of Arts and Letters Academy Award for Painting, and the National Endowment for the Arts Award. Murray was inducted into the National Academy in 2009. In 2006 the internationally acclaimed filmmaker Albert Maysles produced the documentary Judith Murray: Phases and Layers, filming the artist working on a large-scale painting. Her work is in the collections of the United States Embassy in Mumbai; the royal family of Abu Dhabi; National Museum of Art, Warsaw; the Library of Congress, Washington, D.C.; the Brooklyn Museum, National Academy Museum, Lincoln Center for the Performing Arts, New York Public Library, and The Whitney Museum of American Art, New York; The Carnegie Institute, Pittsburgh, and the Philadelphia Museum, Pennsylvania; The Contemporary Museum, Hawaii; MIT List Visual Arts Center, Boston; and the Walker Art Center, Contemporary Art Museum, Minneapolis.